At last I managed to bake these "biscuits". I have never delayed anything as much as I have delayed baking these biscuits. These biscuits has been in my "to do" list for at least a few months now. The recipe is from a book called The higher taste by Kurma Dasa. It is a great book with some simple vegetarian recipes. I wanted to bake these biscuits since the moment I set my eyes on it. But I held back because of the quantity of cheese mentioned. It has one and a half cups of cheddar cheese. I thought of cutting down the cheese and I started searching for some other recipes on the net. I found quite a lot of them. But they all had one thing in common, they were all filled with fat in one form or the other. They were some which had a lot of butter and cheese and they were those which had both cream and cheese. So in the end, I just decided to go ahead and bake these after all. I am not sure if these cheese and spicy goodies can be called as "biscuits". Because texture wise they were nothing like biscuits. They were more like bread with chewy texture. Like scones to be precise. But then, my definition of biscuits is slightly different. I had thought that biscuits has a slight crispy and crunchy texture to them. Or I believe it is a common "Indianism" to address cookies as biscuits. Taste wise, they were nothing like I had tasted before. They were absolutely delicious. 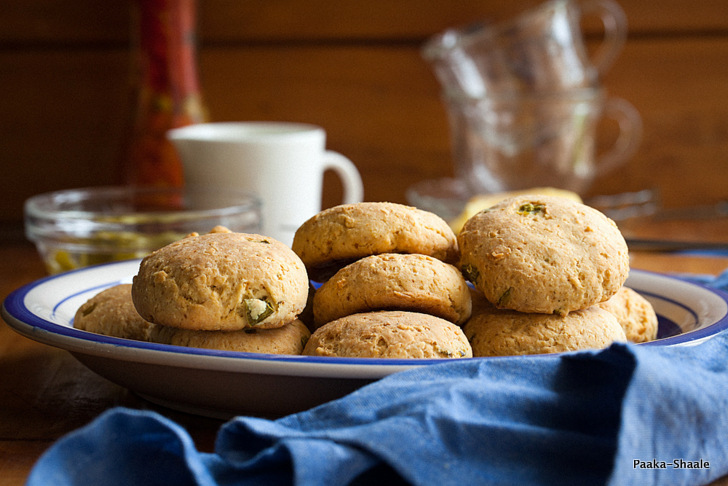 The mixture of cheese, corn and Jalapeño make an an incredible flavor combination. I would have liked to include chives in these for some extra flavor kick but then they were not available. The in house connoisseur of good food (S) gave the verdict that these biscuits were great. And then he went on to say that they would taste better with a soup. I had to agree with him. 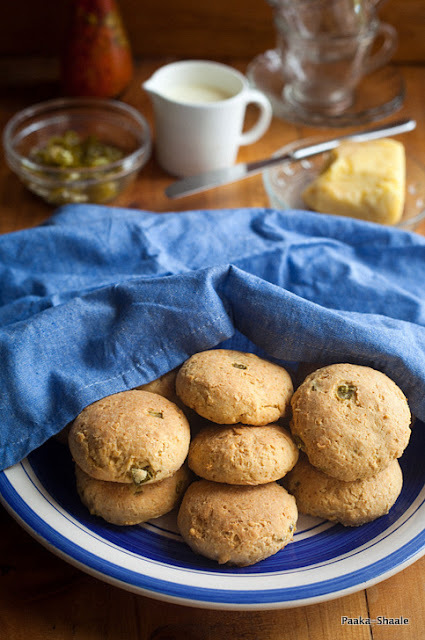 These biscuits, although great on their own, would taste better as a side dish for soups. In a large bowl, Sift, the all purpose flour, corn meal, baking powder, baking soda and salt. 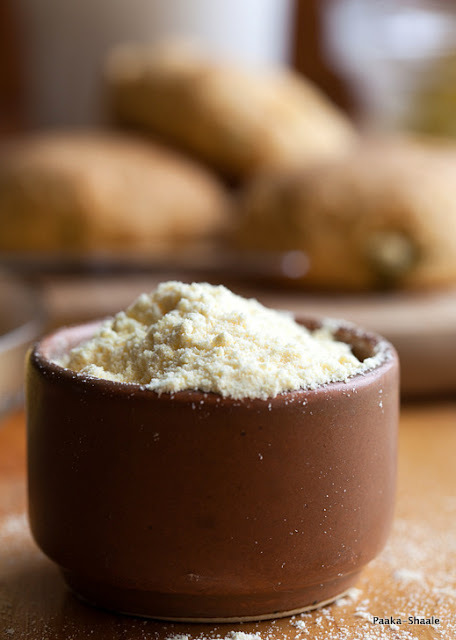 Rub the cold butter into flour mixture till the mixture resembles bread crumbs. Stir in the cheese, chilies, and milk and mix gently till the mixture comes together to form a sticky dough. Turn the dough on a floured surface and knead gently for about a minute. PAt the dough out to 3/4 to 1" thickness and cut into shapes of your choice using biscuit cutter. Place the biscuits on a well greased, parchment lined baking tray and bake in a preheated oven at 180C for 15 min or till the biscuit turns brown. You can substitute the corn meal with All purpose flour if the corn meal is unavailable. 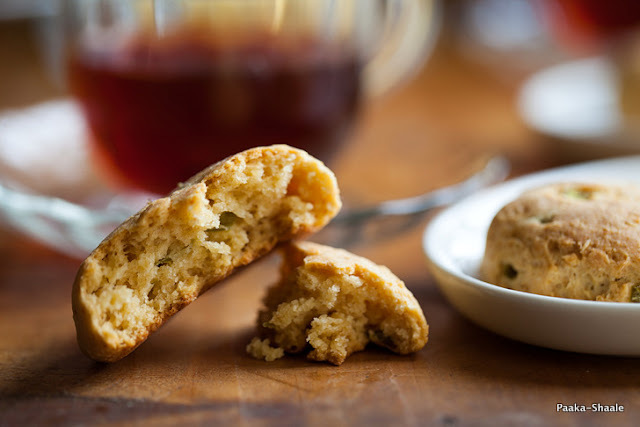 You can add 1/2 tsp of smoked paprika powder if you like the biscuits a little spicy. Lovely biscuits! That is a wonderful flavor combination. Nandita, I was going to ask if these tasted like scones but then saw your note on it :-). Those biscuits (or whatever else you decide to call them) look wonderful, I am not sure I am ready for so much of cheese yet though. Will put this on my 'to be tried'. These look lovely !! I just love the 3rd pic , its wonderful !!! It looks very nice. new recipe to me. these luks really yumm n nice snack for kids..
luks great..can definitely feel its yummy texture ! nice presentation as well. 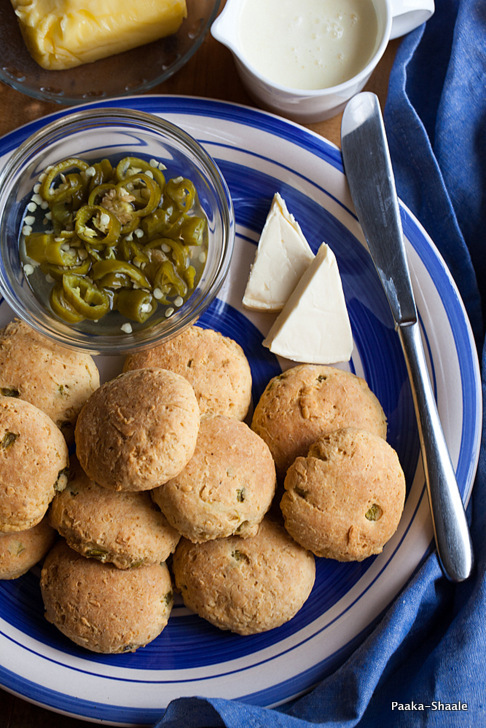 I love jalapenos...what a great biscuit combination! Great flavor combo and beautiful photos. 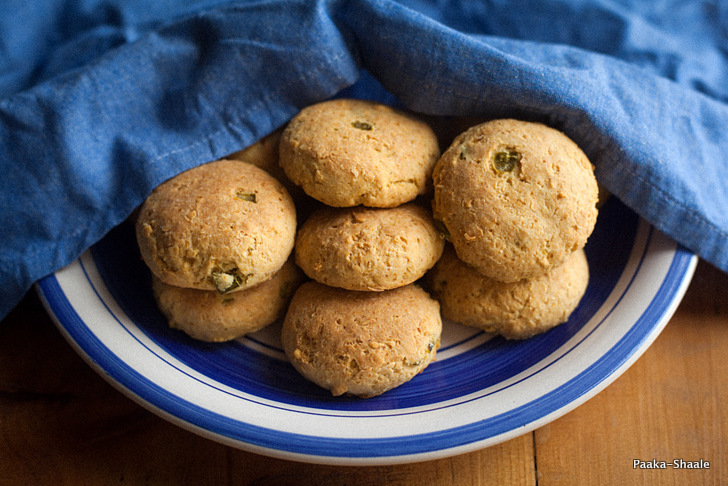 I have a savory tooth and biscuits such as these would always be loved and savored. Lovely cheese and spice combination. I am quite a slacker when it comes to baking! These biscuits with cornmeal and jalapeños sound really spicy and exciting!